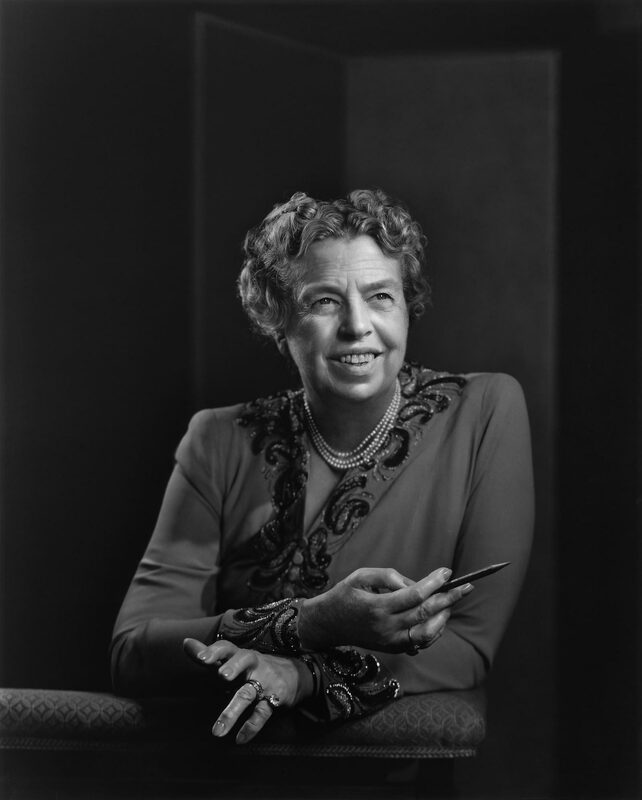 Eleanor Roosevelt was an American diplomat and activist who served as the First Lady of the United States from 1933 to 1945 during her husband President Franklin D. Roosevelt‘s four terms in office, making her the longest serving First Lady of the United States. Roosevelt then served as United States Delegate to the United Nations General Assembly from 1945 to 1952. She was vocal in her support of the civil rights movement. The Roosevelts (who were distant cousins) were married on this day, March 18, in 1905. According to Wikipedia, the Roosevelts’ marriage was complicated from the beginning by Franklin’s controlling mother, Sara, and after Eleanor discovered her husband’s affair with Lucy Mercer in 1918, she resolved to seek fulfillment in leading a public life of her own. She persuaded Franklin to stay in politics after he was stricken with a paralytic illness in 1921, which cost him the normal use of his legs, and began giving speeches and appearing at campaign events in his place. Following Franklin’s election as Governor of New York in 1928, and throughout the remainder of Franklin’s public career in government, Roosevelt regularly made public appearances on his behalf, and as First Lady, while her husband served as President, she significantly reshaped and redefined the role of First Lady.